Automobiles can be such a subjective thing. Like art, one man’s trash might be another man’s treasure. That’s why sometimes picking the “best” can cause quite a row. “Are you serious?” someone might ask. The truth is though that we all have our favorite cars. For most motorists that’s usually something they have parked in front of the house, something that meets their needs, something that has a payment due each month; or it could be something they see on TV, in an ad, or a movie, like Steve McQueen’s Mustang in Bullitt. For those of us fortunate enough to make a living by testing and reviewing automobiles on a weekly basis the criteria as to what is best is a bit different. 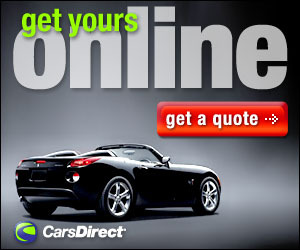 We’re not shopping for a vehicle that meets a particular need, or even something that we will be paying for. Our goal is to objectively test a vehicle and give you the good, the bad and the ugly. However, we are human (although some might argue that point) and as such have different personal tastes. Personally, I love sports cars, all types. Nevertheless, in the practical world I have a family, groceries to buy and things to do that mean a sports car won’t always work. For 2014, as I did last year, I have thrown all practicality out the window. I just took the different vehicles I drove and looked at the ones I liked the best in each of several different areas. From trucks to SUVs to crossovers, to sedans, and sports cars I highlighted the standouts along with a personal favorite. At the end there was a tie for the number one favorite of the year. One feeds my former Special Operations solider jumping out of perfectly good airplanes adrenaline rush side, the other gets my marks as a car I could definitely live with every day of the year. I included both crossovers and SUV’s in this category because at the end of the day to me anyway a crossover is just a smaller version of an SUV. This class includes the dreaded mini-van which still sells but is loathed by many. This year I drove the Chrysler Town & Country, which as it turns out is going away, and the Dodge Grand Caravan. 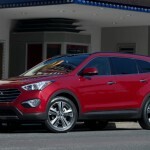 Included here is also the 2014 Hyundai Santa Fe (I have the 2015 this week so look for that review soon), along with the Toyota Sienna, the BMW X5 and the big old Chevy Suburban. A broad mix I know and while I would trade them all for a Durango (which I didn’t get to drive this year but still left a lasting impression) for 2014 the Santa Fe led the way. Here I included those cars under $40,000. 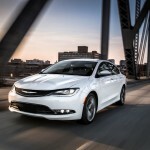 This includes the Sonata, the VW CC and Passat, and the Chrysler 200c. Both the CC and 200c stand out and frankly it took a great deal of thought to pick a clear winner. 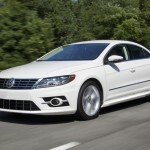 Both have separate features that make them great affordable sedans. At the end of the day though I must wave the Stars and Stripes and give the win to the 200c, because Chrysler shows that they are back in the game with a great car packed with a lot of standard features, that is fun to drive and won’t break the bank. Maybe it’s because I am getting older, though certainly not richer, but more and more I like luxury. Every Monday when I get the call as to what car I will have that week, hearing that I will have a luxury sedan always makes me look forward to the rest of the week. One thing that I found a little surprising this year was including a Hyundai Genesis in this class. In 2013 I had one for a week and was left unimpressed. This year however they stepped up their game, and the price (the model I had topped out over $50,000). For 2014 Hyundai made some improvements to the Genesis and it showed; I was impressed. The Lexus IS 350 stole the show however. 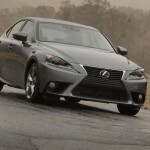 The 2015 I had recently showed why Lexus is among the best when it comes to luxury sedans. It is indeed luxurious, packed with standard equipment, fast, fun and less expensive than the Genesis. The small cars almost always have two doors, are less than $40,000, mostly way less, and are appealing to the younger generation. This year was no different. 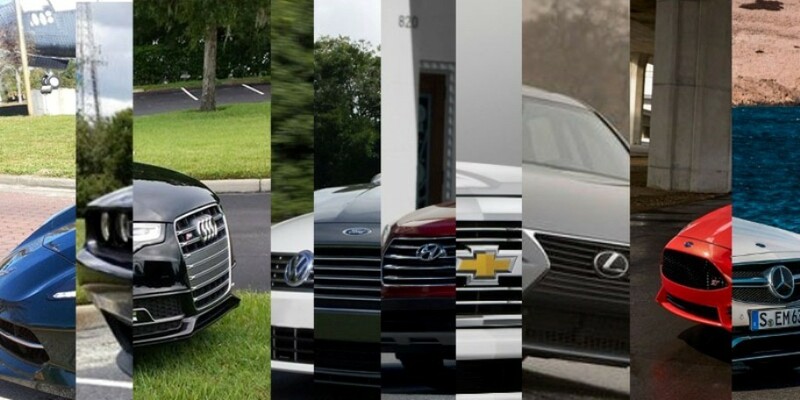 The cars in this category I drove this year include the VW Golf, the 2015 VW Beetle, the Scion Tc and the Ford Fiesta ST. Back in January when I was given the Fiesta to take from Florida to North Carolina I thought I was in for a rough ride, it turns out I was, but not on the road. I ended up spending a full week in the hospital with pneumonia. The Fiesta though was great medicine. The Rocaro bucket seats were surprisingly comfortable and while you won’t float over the road like you would a luxury sedan, it’s actually not bad. 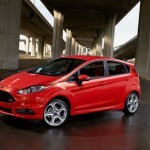 The Fiesta is brash, bold a fun little beast to drive, and a clear winner in this category this year. Pick-up trucks aren’t for everyone. Most of us have absolutely no need for one, at least on a regular basis. Yet pick-up trucks are the best selling vehicles in America. 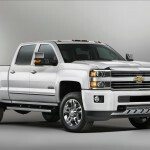 This year I had the Toyota Sienna and two variants of the Chevy Silverado, the 2500HD and a 1500 High Country. The 2500HD was big and seems a bit unwieldy. The Sienna was the clear favorite until just last week when I got the 1500 Silverado High Country. With an engine that is nearly the same one as is used in the Stingray and with a lot of luxury packed into a truck that is cheaper than the 2500 the High Country made the Sienna look outdated and become my , and my families, clear favorite truck of the year. Let’s face it, hybrids are the future of motoring. The combination of electric and gas power will someday be the norm rather than the exception. I’ve started to accept this fact and as such am not a turned off as I was in the past by something that propels you down the road with something other than gas. This year’s crop of hybrids only helped this change in attitudes. The Lexus ES 300h I drove had all the luxury you’d expect from a Lexus as well as power nearly equal to the fully gas powered cousins. The Lincoln MKZ hybrid is very close behind matching great luxury with capable power. The Lexus 450h crossover was okay, but seemed a little lacking in power. 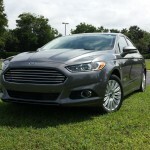 The biggest surprise this year though was the Ford Fusion hybrid. The Fusion is already a great car but when combined with an electric option it’s still pretty good. On several days I plugged it in overnight and drove nearly 20 of the 22 miles on my morning commute to the office on all electric power. Saving that much gas while behind the wheel of one of the best cars in America, made the Fusion plug in my top hybrid on 2014. These are cars that don’t really fit into another class for some reason. This includes the Nissan Juke NISMO I had. While the Juke can be considered a crossover, it really does stand on its own. I had a Juke in 2013, and was not all that impressed. The NISMO was totally different, like night and day. The sport tuned suspension and the 215 horses deliver a really fun drive and I found myself eating my earlier negative Juke words. There were two others that stood out in this category though. Ironically they came two weeks apart and in the middle both of them were featured on the History Channels “Top Gear” show on the same night, and both were the same exact vehicles. The Porsche Cayenne Turbo-S was the most expensive vehicle I have ever had for a week, at $168,000. The 4.8 twin turbocharged V8 belted out 550 horsepower and was an absolute blast to drive. Believe or not the Porsche was not the favorite in this class. 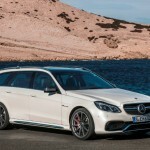 While it is less expensive at $106,000 the Mercedes E63 AMG S-Model 4Matic Wagon was one of the most fun cars I have had in a very long time. There is no reason for someone to own a station wagon that has 577 horsepower under the hood, other than because they can. This car turned heads, rocketed through traffic at breakneck speeds. It was used in Season 4, Episode 16, Cool Cars for Grownups of Top Gear and after my week I hated to give it up. The sports cars are always the favorites of middle aged guys like me. Maybe we are still seeking our youthful days, or maybe it’s just because I like to go fast. Whatever the reason, getting a week with a sports car is a great one. And I did have some great ones in 2014. In fact my very first car of 2014 was the 2014 Corvette Stingray. This iconic machine has been redesigned and is nothing short of amazing. 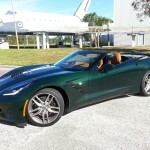 In a year celebrating the great Corvettes of old and the favorite car among the original seven American astronauts, I drove the Stingray with the top down under warm sunny Florida skies to the coast and traveled from the Kennedy Space Center to A1A along Cocoa Beach where those original seven astronauts once prowled, all the while the Stingray turned heads and produced nostalgic smiles. This was by far my motoring highlight of the year. I had other sports cars during the year though. The BMW Z4 was a blast, as was the Infiniti Q60 IPL. The Audi S5 coupe was also a lot of fun, but it wasn’t until I got the 2015 Dodge Challenger that a serious contender for my favorite sports car of the year emerged. The Challenger also got a redesign, and the designers hit a home run. 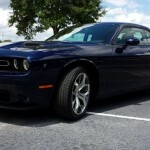 The Challenger is also a blast to drive, very nostalgic and turned a lot of heads. It did come down to the Stingray and the Challenger, but in the end the Stingray won out. Not many cars can be called legendary but I think most will agree that the Stingray wears that moniker.